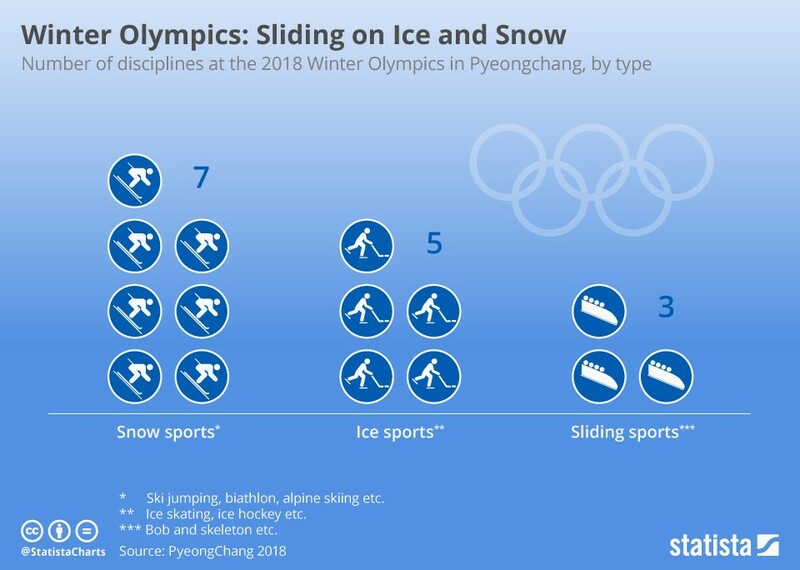 Ice and snow, indoors and outdoors, are the basis of the Winter Olympics. 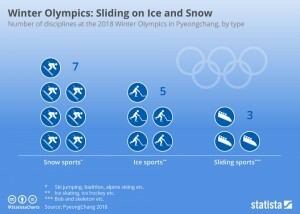 There are 16 disciplines that are grouped into three main sports categories. The snow sports have the most disciplines, like ski jumping, biathlon or alpine skiing. Ice sports are pretty self-explanatory too: ice skating and ice hockey are in this category. Sliding sports comprise luge, bob, skeleton races, which are held at one and the same venue, the Olympic Sliding Centre.